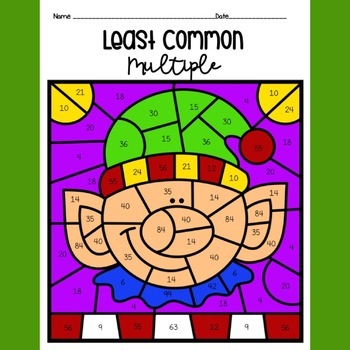 Christmas Least Common Multiple (LCM) Color by Number is an exciting activity to review LCM that your students will love! 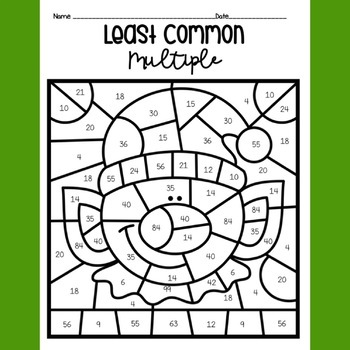 This color by number activity aligns with CCSS 6.NS.B.4:Find the greatest common factor of two whole numbers less than or equal to 100 and the least common multiple of two whole numbers less than or equal to 12. 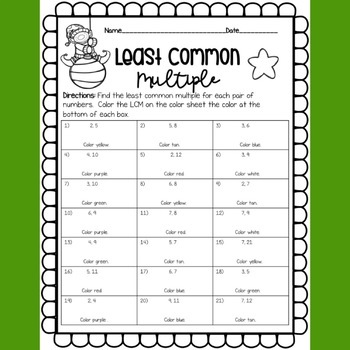 Use the distributive property to express a sum of two whole numbers 1-100 with a common factor as a multiple of a sum of two whole numbers with no common factor. 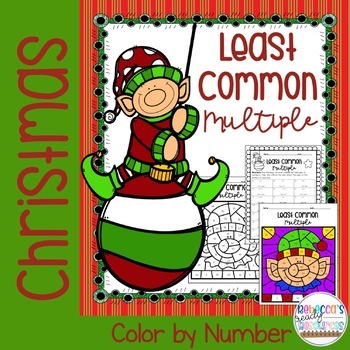 For example, express 36 + 8 as 4 (9 + 2).